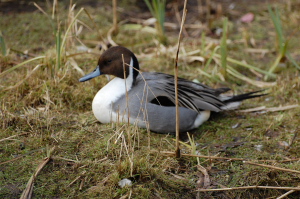 Observation - Pintail - UK and Ireland. Description: Dabbling duck, curvy stripe on side of head.Very pointy tail! Dabbling duck, curvy stripe on side of head.Very pointy tail!